How many times have you watched the Oscars and thought….”that movie? 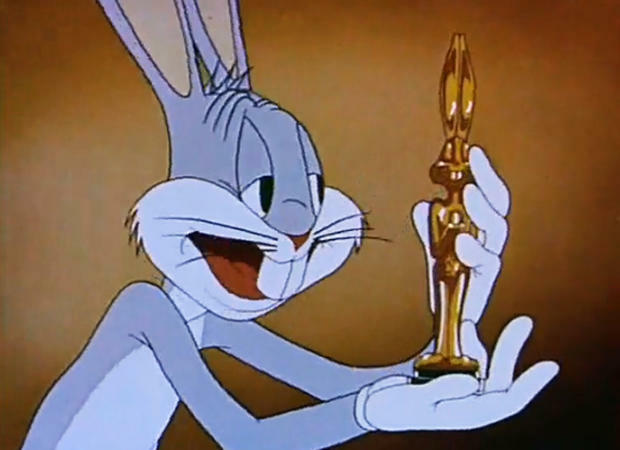 ?” Despite the disdain that many of us now hold for the gaudy spectacle of the Academy Awards, there is no denying its perennial appeal to the masses, much like the appeal of the auto wrecks along the daily commute. You can’t help but pay attention to them, if for no other reason than that everyone else is stopping to stare. And yet, it seems that there should be some means for recognizing great achievements in film on a regular basis. I suppose some people are opposed in principle to the idea of rewarding or judging works of art, but I think most of us are just disappointed in the way that it is done currently. The Academy Awards, as everyone knows, are much like American politics; that is to say, they are a popularity contest swayed by the money and influence of powerful individuals and corporations. I don’t think it’s cynical to point that out, and certainly that doesn’t mean that there aren’t some very worthy films nominated and awarded each year. But I think that as the years go on, the track record for picking the “Best” picture of the year seems to be getting more and more shaky. An important problem with the current system is that there is a lack of sufficient critical distance. Surely many of the movies that came out last year were great, but are we sure which ones just yet? We really need time to let these works of art seep into the consciousness of our critical faculties, to get some perspective on where they stand in relation to the other films that year. We need time to allow the overhyped but ultimately shallow film fade, and to let the hidden gem be found, unearthed, and polished so that its beauty can be fully appreciated. So how could this be made to work better? Of course this would never happen, but I think there should be an award for the Best Picture of 10 Years Ago. A decade is just starting to be enough time to let that critical appreciation develop, and not be a tidal wave of popular sentiment. These films are not usually still making a lot of money for the studios, so the financial motives for campaigning for a film will not be as influential on something that is supposed to be awarded for technical and artistic merit. Additionally, the timing of the film’s release would not any longer be a factor. It is of course irrelevant to a picture’s worthiness whether it was released too early in the year to be remembered, or too late to build enough buzz, but that is supposedly how these things work. Evaluating a movie 10 years later would eliminate this consideration completely. Of course, if we were to really have a new type of retrospective award, attempting to make a purer and more merit-based system, it begs the question to define what the award would be for. In one sense, there can’t really be a “best picture” of the year. How can I truly compare the relative virtues of 2005’s Batman Begins and Munich? Both films are excellently crafted and I love them both, but they set out to accomplish very different things artistically. This however leads me to consider that ranking or awarding films within a particular year is a pretty arbitrary criterion anyways. There are solutions to that, such as expanding the award to a longer time period, (maybe no films deserve a big award in any given year…) or awarding by genre, etc. This may open more problems than it is capable of solving, though. It seems intuitive that silent films of the 1920s should not be judged against films of the 21st century…or should they? But the broader you make your parameters, whether chronological or otherwise, you begin to leave the realm of awards and approaching the realm of listmaking. Lists such as “The Best Foreign-funded American Movies of 1969-1987,” or “The Top 50 Romantic Nature Documentaries of All Time.” And that, friends, is the subject of Part 2 of this discussion, coming soon to a blog near you. In the meantime, comment below: what do you think of awards? How could they better reflect the desire to appreciate excellence in film art and entertainment? Posted on August 18, 2015 August 20, 2015 by Joshua Wilson	This entry was tagged Academy Awards. Bookmark the permalink. In general, I am not opposed to awards, and I don’t even wholly discount the notion of recognizing a best picture of the year, though clearly this system has flaws, and one of them is that the nominations and awards are utterly fixed in number. In my view, the Pulitzer and the Nobel prizes have a leg up on cinematic awards because they do not set limits, high OR low on the numbers of nominees (and as an aside, insisting that exactly x number of films be nominated is somewhat absurd), nor do they mandate that there must be a winner every year. Furthermore, Nobel prizes, particularly in literature, are generally considered the equivalent of “lifetime achievement awards,” and thus take into perspective the entire pantheon of contributions from a particular artist. There is nothing intrinsically wrong about recognizing best films in a given year, but some years, it just doesn’t mean all that much. Anyone know the best performing stock in 1929? Actually, I ran up against this problem a bit even trying to come up with an example for this piece. Since I selected a 10-year-ago award as my standard, I thought to look and see what movie I would have awarded from 2005. I found that I had only seen a handful of films from that year, and out of them, I don’t know that any of them deserves to be given an award that indicates it has made a lasting contribution. I love Serenity, for example, but I don’t think it needs any awards per se, or likewise Batman Begins. I’ve only seen Munich once, but it moved me a lot when I saw it. At least with a delayed award, you have time to revisit them and see if your initial impression has changed, for better or for worse.